Hey everyone! 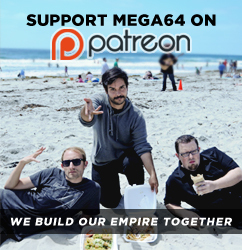 Get ready for the Mega64 Podcast at full force! In this episode: We relive all the weird stuff we saw at Comic Con, also did Rocco manage to get all the exclusives that he wanted?!??! (I know you have lost sleep thinking this very question) We also talk Dunkirk and read reviews for the Emoji movie! Check it out!!! Click here for the audio!